Want fun and excitement? Plus a few cute pups? And some brave rescues? We’re guessing that’s a big YES. 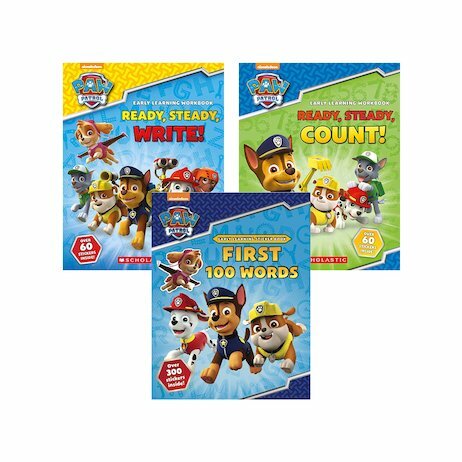 But if you also want to build your skills and get ready for school, it’s time to roll with the Paw Patrol. Their adorable workbooks have all the stuff you need to jump-start your learning: fun activities, dramatic rescues, colourful pictures, puzzles and problems to solve. (Essential for brave rescues.) Get smart for school and get your tail wagging. School success is waiting! No time to paws!